Your dog is dead, so we’ve put her in a bin in Brislington”, is just one of the sickening prank calls a woman from Bristol has received since her dog was stolen. 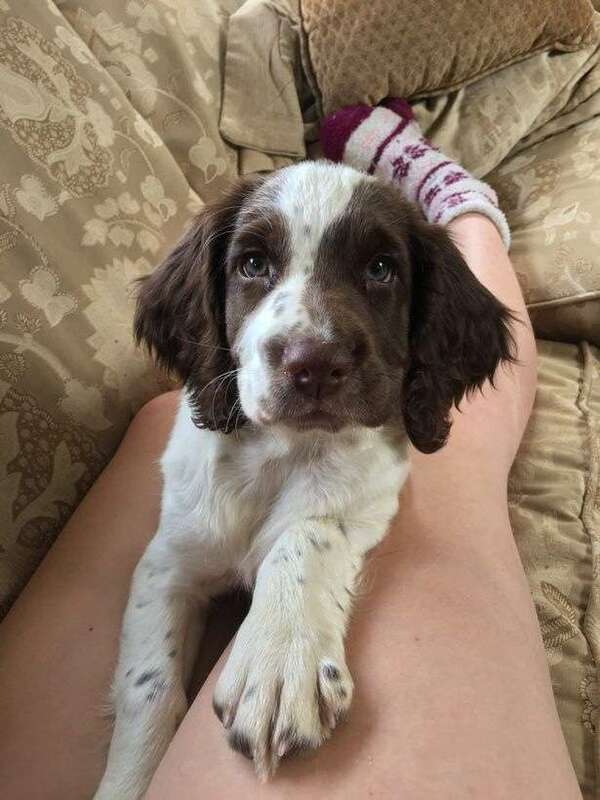 Bibby Curtis from Warmley launched an online campaign to find her beloved English springer spaniel in September immediately after the 18-month-old was taken. 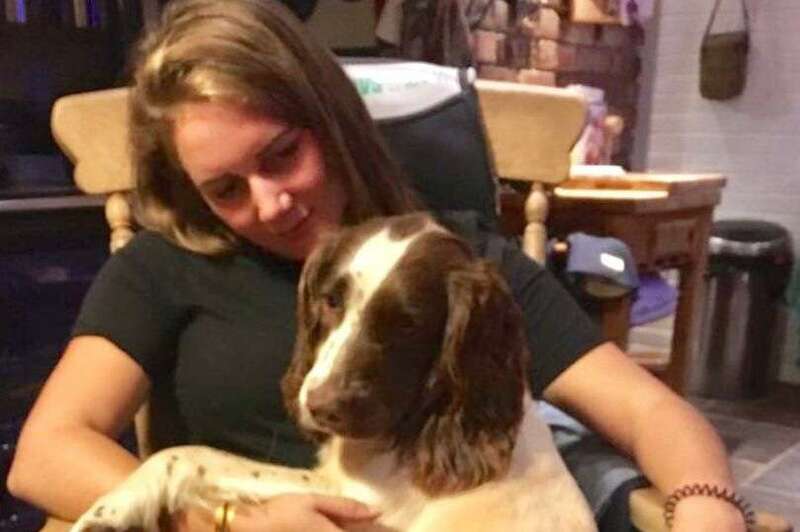 Amo the dog had been with Bibby’s family at a country fair in Telford when she was swiped, and she has been determined to get her back ever since. But, after appealing to the public for help in locating Amo, the 20-year-old started being subjected to a number of disturbing phone calls. Anonymous calls from strangers demanding she transfer thousands of pounds into their bank account to ensure Amo’s safe return. While some were from sinister men requesting sexual favours in exchange for the animal’s safety. To her disappointment, the most disturbing calls came from a group of children in Bristol who thought it would be funny to torment her after seeing posters about Amo displayed in their area. “It started last Wednesday. I could tell they were from Bristol because of their accents and because they mentioned Brislington,” Bibby said. “There was a big group of them laughing and chatting. They said ‘your dog is dead so we’ve put her in a bin in Broomhill, Brislington’”. “I was so disturbed by it, I couldn’t believe 12-year-olds would want to do something like that,” she said. Bibby said the last straw came when she got another anonymous phone call from a young child from Bristol. “It had been a low day for me anyway, I had spent the last week travelling over 150 miles to try and find Amo then I got this call,” she said. “It was another one from a Bristol kid, at first he asked, ‘is your dog still missing?’ When I said yes, he said ‘I think I just saw it walking down my street’. Then, he burst out laughing and said ‘joking, your dog is dead’ and hung up. Distraught Bibby rang her mum who helped her ring around Brislington to get the posters taken down, which she said was the last thing she wanted to do with Amo still missing. 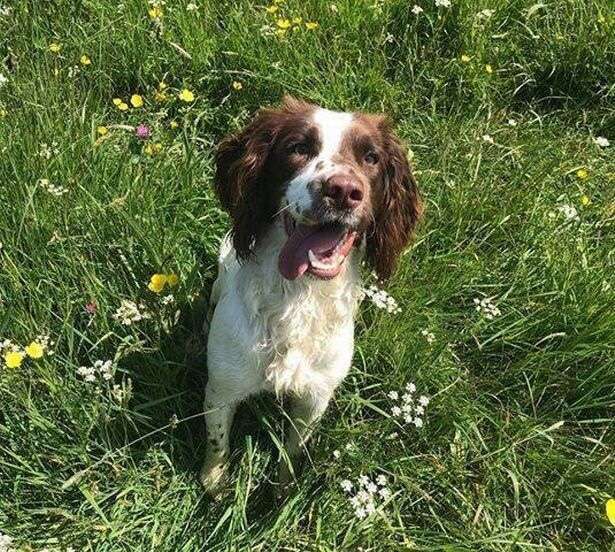 Amo had been bred from Bibby’s parents’ springer spaniel, but she was born dead and Bibby spent around 45 minutes reviving the newborn pup. Needing a lot of care and attention in the following months, the pair built a very strong bond. “I feel like the left side of my heart is gone because she’s not here and that pain was even more unbearable when I got those heartless calls,” she said. The Get Stolen Amo Home Facebook page has grown to have around 1,400 followers so far and missing notices are also being posted on Twitter. Bibby and her family have also made t-shirts with the missing information printed on and have put up posters all around Bristol and other areas. 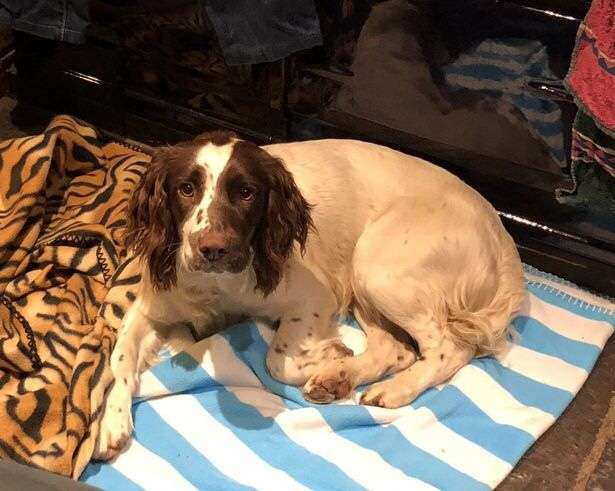 Concerned Amo may have been taken further afield, possibly to Ireland, Bibby said she is desperate to spread the word even further if she has any hope of seeing her dog again.